How is Olia different? Unlike traditional haircolor, Olia uses an exclusive 60% oil blend with natural flower oils to achieve brilliant, radiant color results. 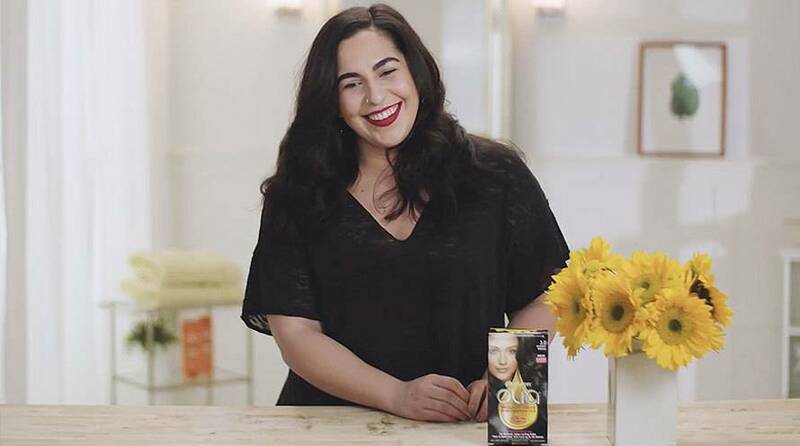 The unique non-drip velvet cream formula propels colorants into the hair--without ammonia--with a pleasant sensorial fragrance. Is this shade right for me? 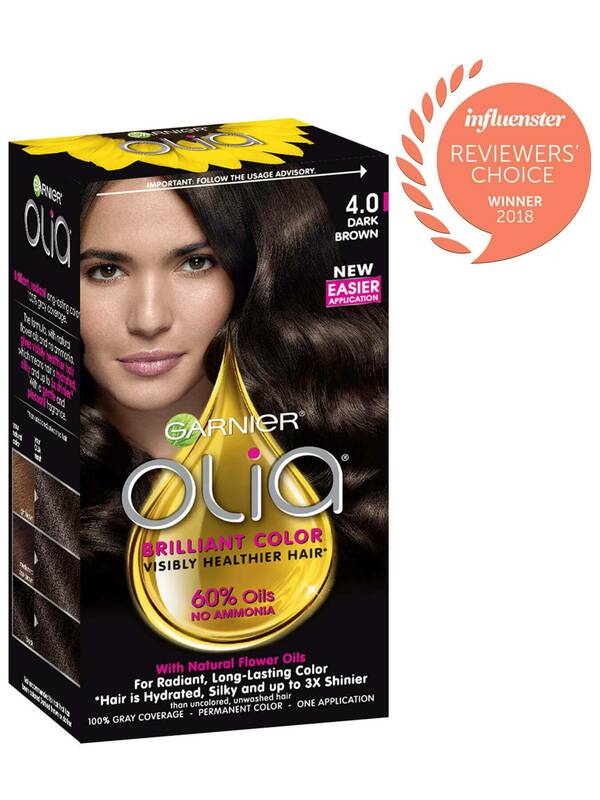 Garnier Olia shade 4.0, "Dark Brown," is a natural brown shade that is one shade lighter than Olia shade 3.0, "Darkest Brown." 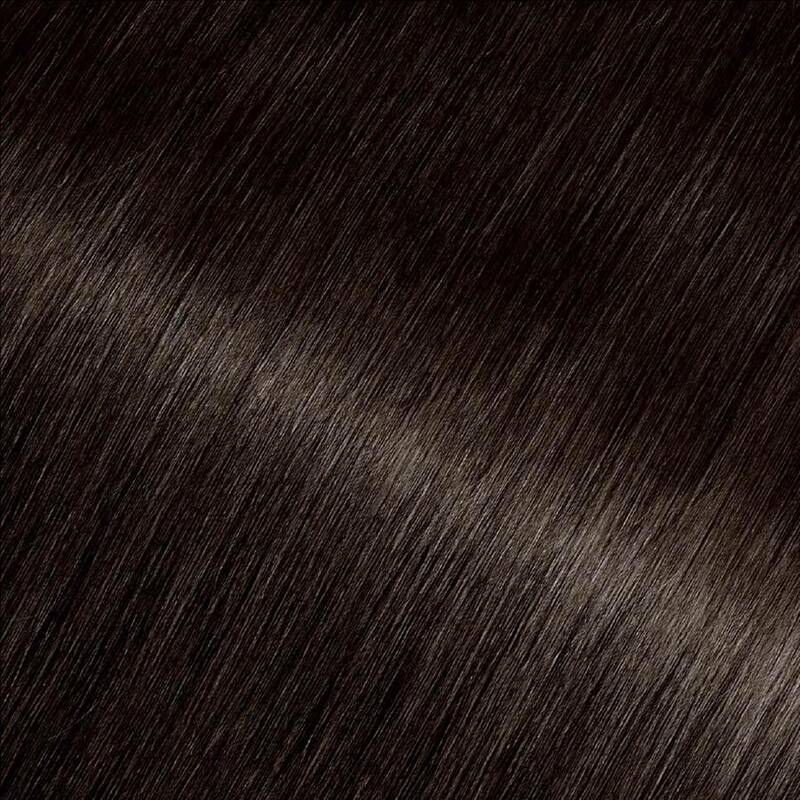 It provides 100% gray coverage and is best for anyone with natural hair between light brown and black. If you prefer a lighter color that still reflects naturally, try shade 5.0, "Medium Natural Brown." If you would like to remain in the dark brown range but would like to try other reflects and tones, there are many shades to choose from including 4.03, 4.15, 4.3, 4.35, 4.60, and 4.62. *For women with currently color treated hair, there are special considerations for the color result you can achieve. Because of this, we do not recommend shade 4.0 for hair that has been previously colored shade 3.0, "Darkest Brown," or darker. For more help, use our Shade Selector Tool to find the perfect shade for you! Rated 2 out of 5 by Mary07 from It turned out black Ive bought the dark brown color yesterday at my local store, used it and then as soon it was drying off, it turned out to be black instead of dark brown, it look like jet black to me so I'm not sure if it was me or if its the color because it didn't match up the color of the box. Rated 2 out of 5 by melissaj4c93 from Dark brown color did not look as clean of a color as I wanted it to. It almost looked flat with no real dimension. Smells amazing though. Rated 5 out of 5 by deidred3 from I absolutely love this product. It gives me an amazing all over color that has an amazing staying power. It makes my hair softer and silkier then it was before I used it. It also makes it so that I can go longer without coloring my hair because it does not wash out and lighten like some other colors do. Rated 5 out of 5 by jemmafennx from I would say truly my favourite box dye. It gives the effect described on the box as always & whilst colouring also conditions hair making sure there is no damage. I am a repeat buyer of this dye for sure & I agree the price is great for the quality of the product. Personally I would recommend due to all areas. Rated 5 out of 5 by amandab003c from I really like the texture of the color treatment as you apply. The color was very bright and very accurate to what the box shows. It feels like a creamy treatment during the application which I haven't seen in other brands. I would definitely buy it again! Rated 5 out of 5 by savannahskye4 from I rave about this stuff constantly. It smells amazing and is really easy to apply myself. I also love that its not as bad for my hair because of the oils.